Meg is supposed to link to the frontmost character in auto mode and prevent them from dying. However, you can see here that this is not the case. Looks like she’s linking with hades. Guess Ali doesn’t reach the front before she decides who she links with. Does her link still go on after the first wave? Hmmm interesting. I am very curious as to how Meg works. Hmm my intial thought was since Aladdin arrives late, she linked to someone else. But, that does not appear to be the case. Maybe, her link is negated of she is stunned, frozen or etc?? Walle could do that, as could Maleficent?? It would depend on how you think her skills would work. Besides, it isnt likeshe could kill any hero in game. Shhe deals very little damage. 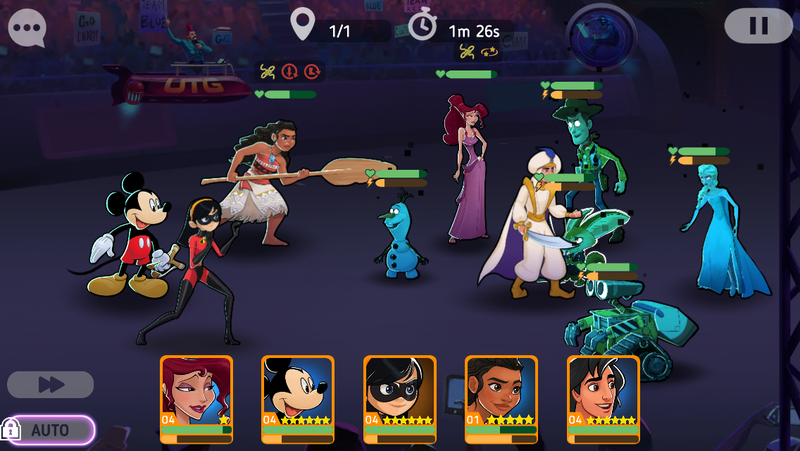 Aladdin is clearly in front. 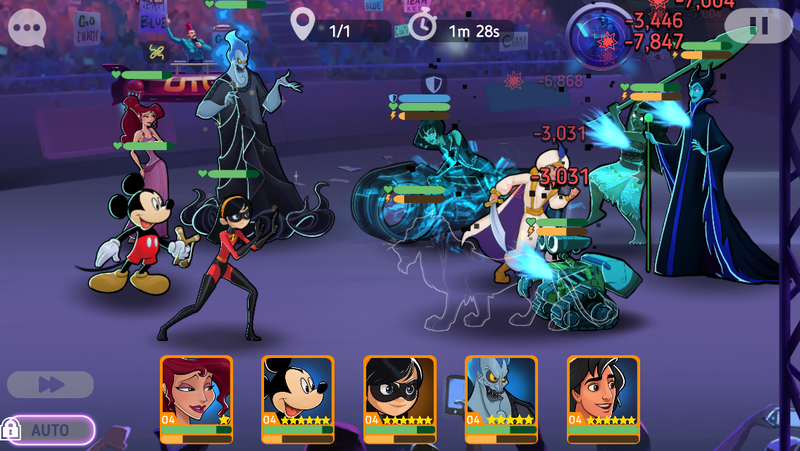 All arena attacks are on auto mode. Wave 1 begins, Megara’s the only one on the battlefield, the other three are either mid-air or using a bike. According to @Sans_McCipher_Pines’s theory, Megara favors Tanks or Damage, regardless if both are Front-line. This caused a discrepancy between the first lineup and the second one. Did she activate her white skill before aladdin died? If not, that’s why. It’s part of her white skill, so she has to activate it in order for her ally link to work. Uh like 50% sure you are wrong. Thhat is her passive part of her white skill. Her white skills trigger charms the closest enemies. Linking is her passive skill. In non auto mode, you choose which ally to link to before the battle begins. In auto mode (i.e. 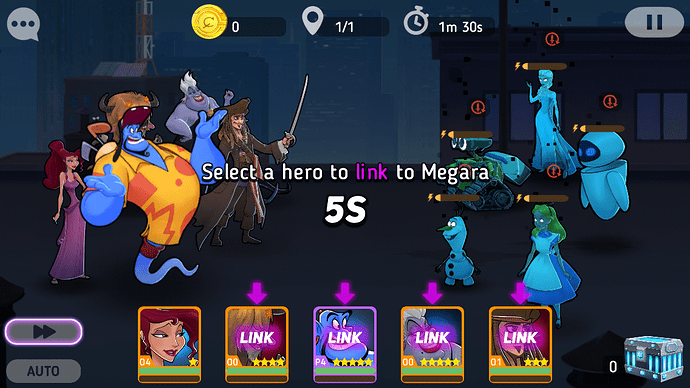 Arena), Meg automatically links to the ally in the frontmost position. Tried a different setup; this time, Meg links to Moana, even though Aladdin is in front. Can you please show what it looks like when it lets you choose who she links to? I have tried and she did not link to the person I chose. The screen only looks like this for the first 10 seconds of the first wave, after that Meg’s Link is locked in for the duration of the battle. 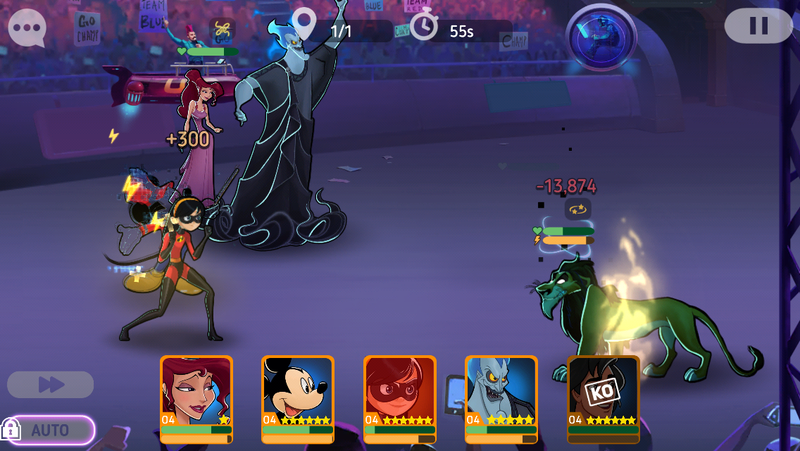 If your team starts walking into the battle with Auto on, you need to get it turned off before everyone is ready to fight or you lose your chance at manually linking with this screen.